A Concorde jet. I learned that these planes catered to first class customers and could carry 100 passengers across the Atlantic in less than 4 hours. I wish that were true of the flight I'll be taking in July! Alas, the Concorde fleet was retired in 2003 and this plane was donated to the museum. The space shuttle Discovery. I learned that the Discovery completed 39 missions between 1984 - 2011 before it was retired. Seeing this thing up close, it is really much larger than I had imagined it would be, although my husband tells me much of the space was a cargo hold, not areas for the astronauts. There were so many other interesting aircraft - WWI fighters, military helicopters, racing planes - a very interesting stop! On Sunday I went to a new to me flea market - in an indoor parking garage structure in Arlington, VA! Interesting flea market, but the parking garage is dark and made it difficult to really see all the goodies. Joining in with Sian and all the Memorandum Monday folks. 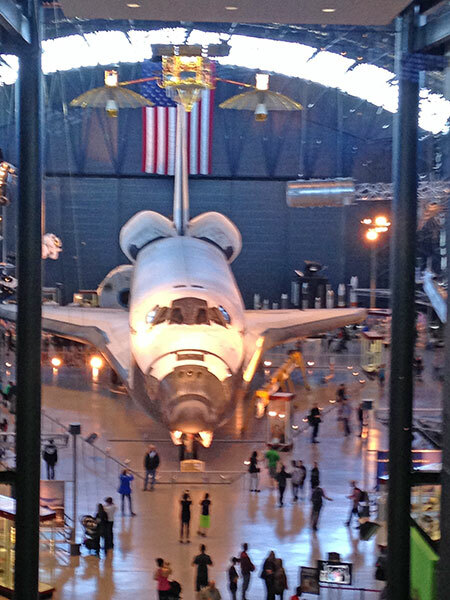 It's been years since I was at the Air and Space Museum, but I remember I enjoyed it much more than I expected. It looks like a fascinating place: you'd have some volunteers here if you suggested a trip. Most Uk -ers of a certain age will remember the famous Flight on Concorde on the childrens tv programme Blue Peter many years ago. I bet that's what they'll think of when they see this! I remember watching Concorde in the air...the most beautiful looking of aircraft. That would certainly be quite something to see close up. I have been to Washington DC & I think what surprised me was how many buildings make up the Smithsonian, of which I think we only visited 2. You had a weekend full of new knowledge! But I'll be the best part was spending time with Sarah! I went to see Concord when it was on show at Duxford Air Museum which is near me, many years ago. I couldn't believe how narrow it was inside! wouldn't it be great if theyget across the Atlantic in those times nowadays? Sounds like a great weekend! We haven't seen Allegiant yet . . . and just may have to wait for the DVD. How lovely to have a weekend with your daughter - I remember enjoying one with my Sarah when she was working in DC. 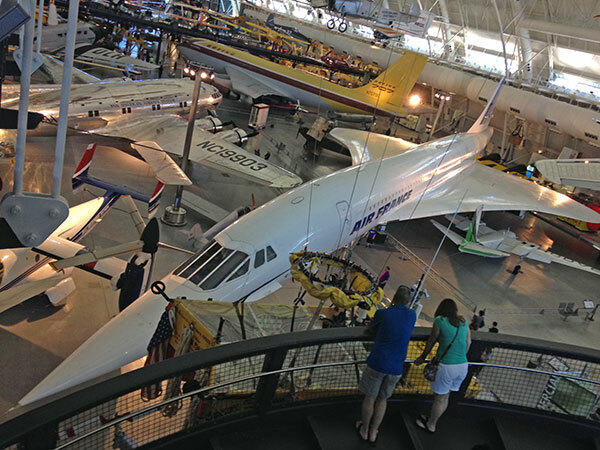 We didn't get to this museum, alas, which looks amazing, We have a Concord in the viewing area of our nearest airport and it is so very elegant to look at ... Glad you had such a great time. I love the Smithsonian Air and Space Museum!!! It is such a cool place. My favorite was the Apollo 11 command module - I was nine years old in 1969 and glued to the TV, following Apollo 11's lunar flight and Neil Armstrong's walk on the moon, so this brought back all those memories that I shared with my daughter who was almost 11 when we were at the Smithsonian. The memories of the Concorde, however, are just awful after that tragic flight from Paris. However, I wish we had something like it so that traveling home to Europe would be so much easier. I hate the 10-12 hours flight from San Francisco to Frankfurt!